Handcrafted Gemstone pendant with classic chakra design. 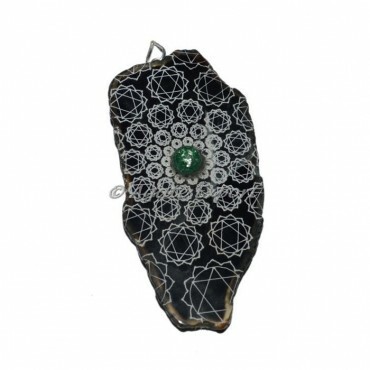 The mystical heart chakra design on the pendant signifies a particular energy level in our body. However design can be changed as per your choice.